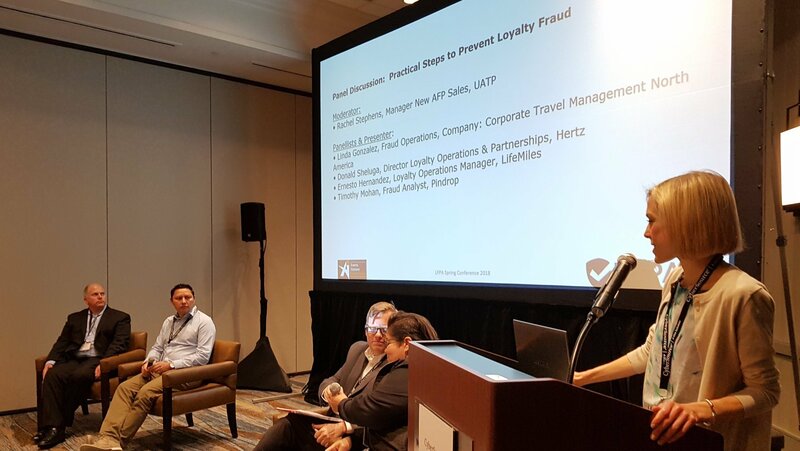 This event of the Loyalty Fraud Prevention Association (LFPA) is focused on digital strategies to get ahead of the threats in terms of Loyalty Fraud. Understanding the Fraudster's Customer Journey will help you work better with the other departments like IT and Call Centres to stop fraud. In turn this engages your customers to help them help themselves against fraud. Attendees will also be able to meet and network with industry peers and best practice service providers to hear first-hand how to further protect loyalty programs from fraud. It's agenda may be found below, and register now to secure your place! Early Registration of $599 USD (Loyalty Program Operators) and $1299 USD (Vendors, Consultants & other companies) is currently available through Friday 24th of April. 1) Registration is joint with the Airline & Travel Payments Summit with which this event is being held concurrently. 2) LFPA Members get 50% off. Contact LFPA to obtain the discount code. 3) Quoted registration prices are for payment by credit card made at time of registration. Payment by bank transfer is $100 USD additional. The Ai Lions’ Den – Joint with Airline and Travel Payment Summit: The theme for the 2019 ATPS is to Engage, Experience and Execute for Customers. To keep engaging with your customers you need to have new products, services and experiences – as well as executing them by taking them to market. The ever popular Ai Lions’ Den let’s companies with new ideas share those in a 5 minute sales pitch to our airline & travel experts. Our Lions (judges) will quiz them on all aspects of their pitch, live in front of all the event delegates! Has loyalty fraud overtaken banks as the prime focus for fraudsters? Panel Discussion: Educating your customers in preventing Fraud: From Terms and Conditions to social media, helping customers to manage the risk? "Our mission is simple - to support the industry in its fight to reduce and eliminate Loyalty Fraud." Top Brand Names Sponsor LFPA Events. Great Content and Connections made by presenters and sponsors. Whether it is raising brand awareness, new product launches or prospecting for new business, sponsoring a LFPA Conference is a great way to connect with your target audience. We aim to understand your detailed objectives so that we can tailor a sponsorship package to your requirements and budget. We're working with Ai Events, organisers of the Airline and Travel Payment Summits, to produce and market the LFPA Spring and Fall Conferences. Who comes to an LFPA Event? LFPA events focus very much on content. We have industry practitioners as speakers sharing their insights into the key issues of the day. We don’t sell speaking slots, which means our presentations are not sales pitches thus attracting delegates who want to keep up-to-date with innovations and best practices. Most delegates are senior decision-makers. Our delegates are predominately the people doing the job and making purchasing decisions related to Loyalty Fraud Prevention.